SAVE the DATE for H.O.M.E. 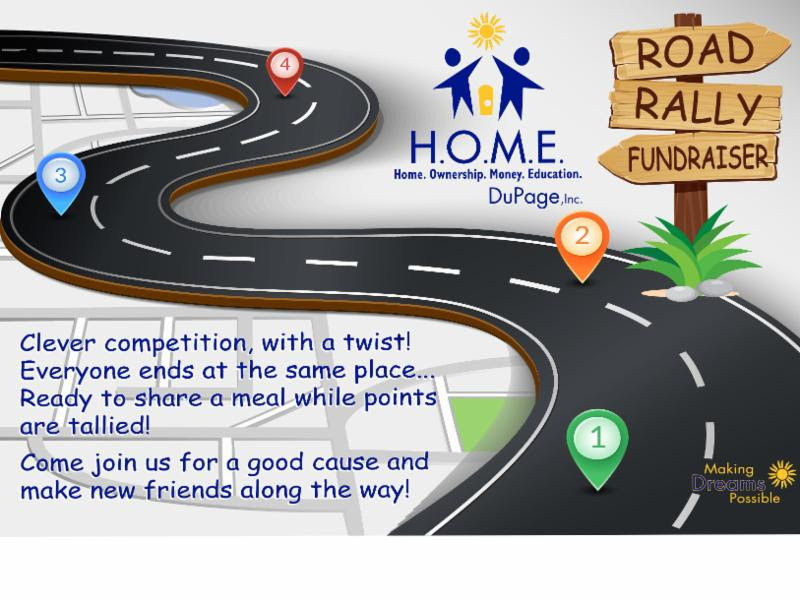 DuPage, Inc‘s 3rd Annual Road Rally taking place Saturday, September 30th! Points are accumulated for solved clues, as well as completed photos and extra activities. The team that accumulates the most points in the allotted time wins. This is NOT a race, it is a great team-building and bonding experience, where you awarded points on problem-solving skills and fun photos, all while having fun along the way. Remember, it is very helpful to watch the movie THE BUCKET LIST. ENGINES START: 2:00 pm SHARP!! Participant Fee: $35.00 per person up until September 15th, after September 15th, $50.00 per person. Each team may have as many participants as you have seat belts for in your car. Participant Fee includes all the Rally fun, a special Rally dinner, and prizes. ALL PROCEEDS BENEFIT H.O.M.E. DuPage, Inc. The Law Offices of Lora Fausett P.C. are experienced in the practice of real estate law, mortgage foreclosure defense litigation, social security disability, business law, and estate law.